Is SMART Mobile the Best Portable Alcohol Monitoring Technology? Smart Start was one of 500 attendees who were at the National Association of Criminal Defense Lawyers (NACDL) conference to learn more about the criminal justice system and how members of the industry can advance their mission of ensuring due process for individuals accused of crime. Smart Start supports NACDL in its mission to preserve fairness in the American criminal justice system. One presentation during NACDL’s conference featured SMART Mobile, Smart Start’s portable alcohol monitoring device. Attorney William Kirk was the presenter, who serves as Assistant Dean on the Board of Regents for the National College for DUI Defense, as well as other organizations and state bar associations. 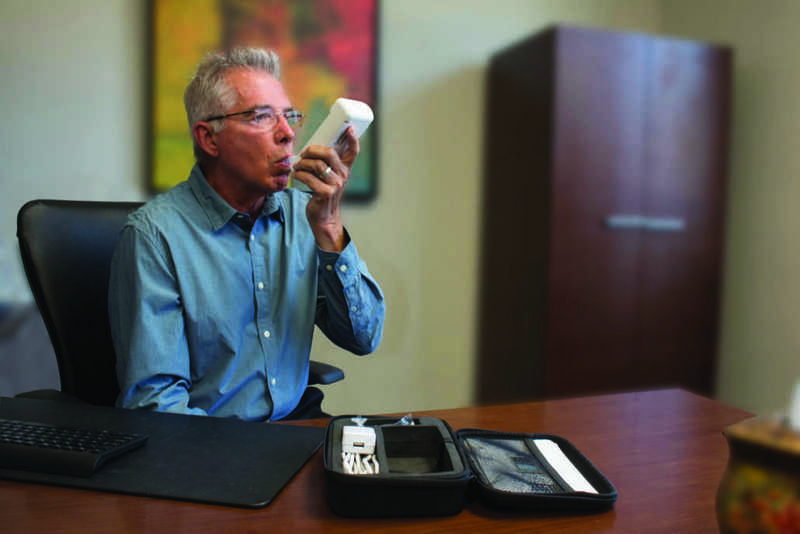 SMART Mobile is a handheld unit that can detect someone’s breath alcohol concentration (BrAC) by the user blowing into the mouthpiece. Because of its immediate violation notifications, as well as being easy to use for clients, Kirk praised SMART Mobile as an effective alcohol monitoring tool. One highlight of SMART Mobile that he mentions is its customized testing times. This feature is advantageous as it can prevent any disturbance with a client’s day-to-day routine. However, SMART Mobile can be set to include random testing if necessary. As a lawyer, Kirk suggests SMART Mobile to the judge as a device his clients can use to confirm their recovery from alcohol. SMART Mobile has also been proven to be court-admissible based on a published probation hearing. Want more information about Smart Start? Smart Start is a worldwide alcohol monitoring company with reliable devices and superior customer service. If you need more information about the NO. 1 Ignition Interlock and portable alcohol monitoring device provider, call our team today at (800) 831-3299.